The six nominees for Volleyball Player of the Year and Football Player of the Year share one common trait: team success. Each individual standout was a critical piece of a strong regular season or playoff run for one of the Valley’s premier programs. Nikki Rowe Jackelyn Alanis reacts after their win against Laredo United 3-1 during the Regional Quarterfinals at Alice High school gymnasium on Monday, Nov. 06, 2017, in Alice. >>Jackelyn Alanis, McAllen Rowe: Alanis led the Warriors with 811 kills and 60 aces while finishing third on the team with 48 blocks. 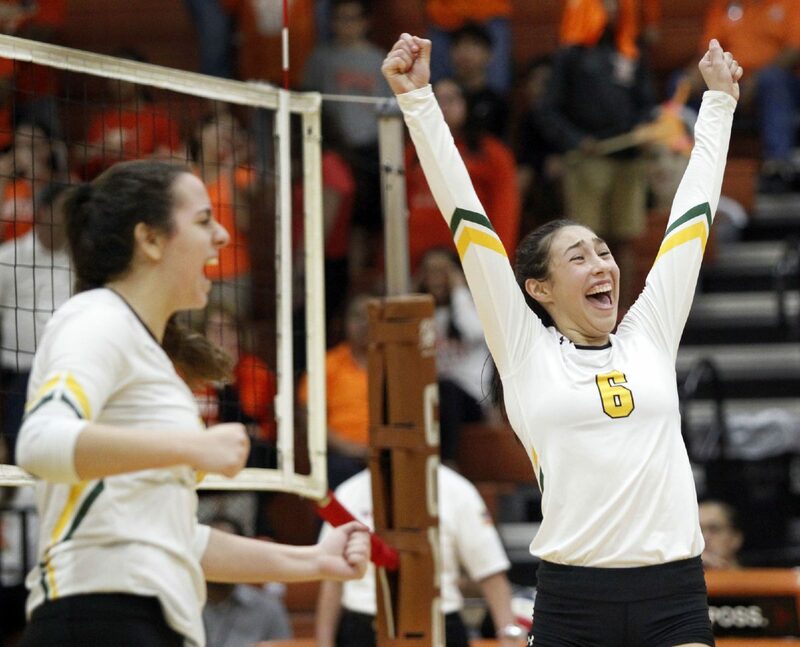 Alanis, who won The Monitor’s All-Area Player of the Year award in the fall, helped McAllen Rowe to a Sweet 16 appearance and to a No. 1 finish in the final RGVSports.com Top 10. 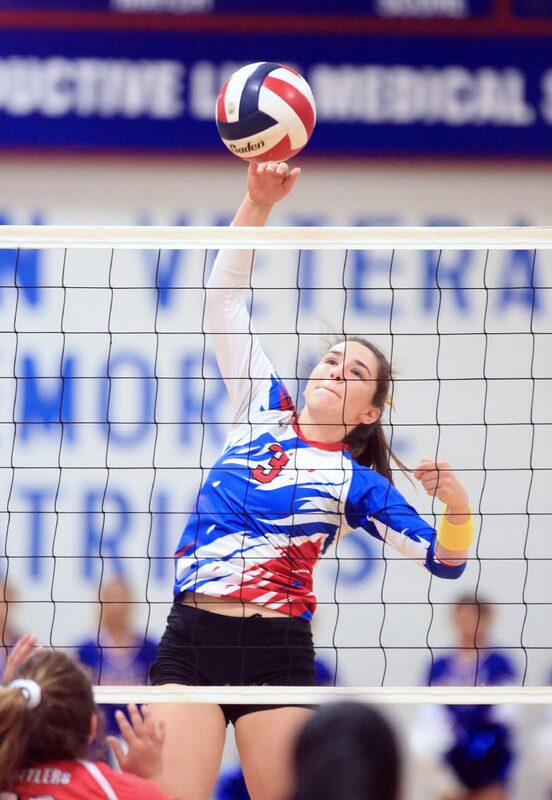 >>Jackie Howell, Mission Veterans: Howell’s 515 kills, 345 digs and 77 aces headlined a Patriots team that lost only four matches all year long and went 16-0 in District 31-5A. She was a first-team performer on The Monitor’s 2017 All-Area list. >> Giselle Ibarra, Los Fresnos: The senior all-around player was the co-MVP of the 32-6A All-District and All-Metro teams. A standout all over the court, she was the main reason the Lady Falcons finished as the runner-up in 32-6A with an 11-3 record and ended the season with a 27-12 overall mark after advancing two rounds in the playoffs. Ibarra led her team with 467 kills during her senior season and was second on the team in digs with 394. She signed to play at Southwest Baptist University in Missouri. 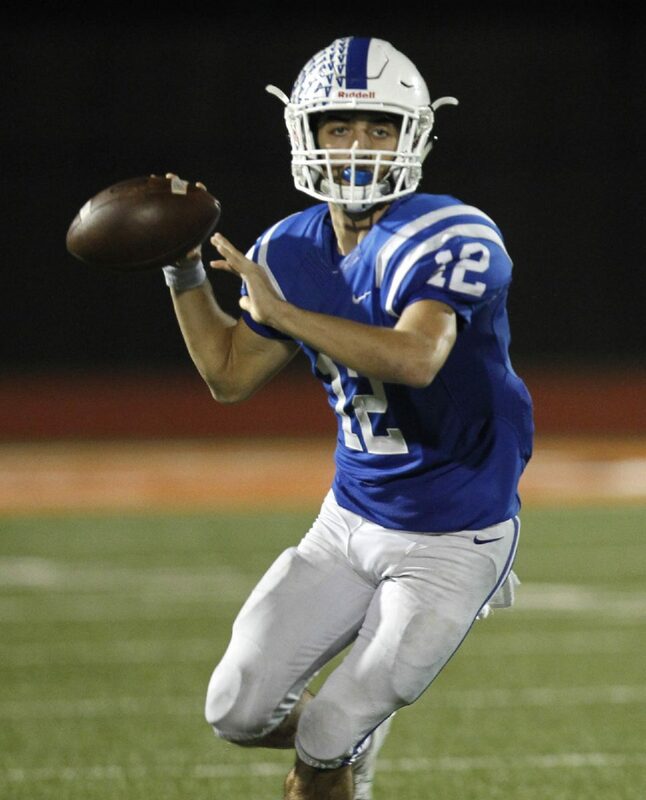 >> Landry Gilpin, Mission Veterans: Gilpin was named The Monitor’s 2017 All-Area Player of the Year after throwing for 3,172 yards and 25 touchdowns while also running for 1,718 yards and 23 touchdowns. The junior quarterback helped the Patriots achieve a 10-win season, a share of the District 31-5A championship and an appearance in the area round of the playoffs. The Texas Associated Press Sports Editors named Gilpin as a Class 5A Honorable Mention performer in 2017. >> Kai Money, St. Joseph Academy: The senior quarterback led St. Joseph to its first district title in over 37 years and to the second round of the playoffs. Money amassed more than 4,000 yards of offense — he threw for 2,539 yards and 35 touchdowns and added another 1,502 yards and 11 touchdowns on the ground. The four-year starting quarterback earned The Brownsville Herald’s All-Metro Offensive Player of the Year. >> Erick Retta, San Benito: Senior quarterback Retta led the Hounds to a perfect 10-0 regular season and an area title. He threw for 2,264 yards on the season and 28 TDs and also ran for 11 scores and 744 rushing yards.